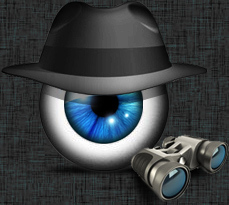 Best-Spy-Soft.com is global provider of remote keylogger software. Remote keylogger software is available for Windows and Mac computer to record system online and offline activities in hidden mode. Undetectable and easy to use Computer Keylogger is a stealth key logger software to monitor your PC (including Internet activities occurred on your computer) being hidden while maintaining absolute secrecy in your absence. Intelligent and powerful invisible keyboard keylogger utility bypasses all major computer spy softwares and helps both Parents and Office Managers as PC monitoring utility. Advanced invisible Remote keylogger key stroke logger program even monitors typed text, clipboard contents, system startup time, voice chat conversations, send emails, windows captions and various other system and internet activities. Windows keyboard logger (also famous as invisible key logger) is inexpensive, reliable, easy-to-use with user-friendly GUI interface and useful tool for checking the computer activities of employees, children, spouses and others. Simple and easy to use Remote Keylogger for Mac traces activities of a user on computer system in complete surveillance mode. Simple featured monitoring software for mac keylogger works with major Apple Mac OS X machines to record your Kids, Partner and Employees Computer and Internet activity details secretly.